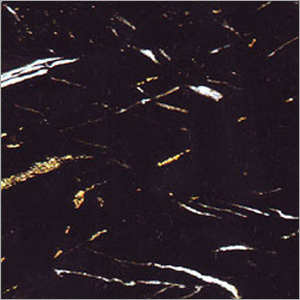 Black gold marble offered is one of the most gorgeous marbles, with a black base and golden design. This marble available with polished surface is applicable in interiors of residential and commercial buildings. It enhances the beauty of fireplace as well as countertops in bathrooms and kitchens. On the buyer's demand, this marble can be provided with any surface finish, from sanded, sawn cut, rockfaced, sandblasted to tumbled. This technical speficifications of black gold marble include 0.74 % water absorption, 186.2 MPa compressive strength and 2712 kg/m3 density. The marble slabs of demanded size are packaged in wooden pallets and delivered at client's destination.